In winter, citrus colours our garden with vibrant pops of yellow and orange. Recipes including these deliciously sour fruits spring to mind and fills our kitchen with their heavenly aromas. More reason to love citrus, especially lemons, is the fact it is easy to grow and does not require a lot of maintenance. Water, sunlight and pruning twice a year, are all that these trees need to flourish. Lemon trees flower most after the winter rains, but flushes of growth will be seen throughout the year. With all citrus, small white flowers will show on the present season’s growth, even without cross-pollination. The fruit will take between 7-14 months to ripen, gradually changing colour from lime green to buttery yellow. After colouration lemons can hang on trees for several months, waiting their turn to be used in some confectionery treat or refreshing drinks. Varieties that grow in our garden are Eureka, Cape rough and Lisbon. A good time to prune lemon trees is after harvest season (Sept, Oct, Nov in South Africa). Trees should be checked throughout the year, cutting away obstructing branches. Pruning young lemon trees will help to establish a good growing structure and encourage productivity. By removing tangled leaves and branches, there will be enough space for horizontal and vertical growth. To revive an old, overgrown and unproductive tree, remove dead, diseased and entangled twigs and leaves. You should be left with the tree trunk and a body of evenly spaced branches. It is best to remove most of the vigorous water shoots that arise from the upper horizontal branches. Since they will only fruit at their ends, these shoots are much larger than the branches from which they spring and clutter up the interior of the tree. Dead branches, shoots from the ground and any obstructing stalks should be regularly removed. Seeing as garden trees usually grow a single stem with a leaf canopy from about 1.5m, any shoots growing along the stem should be cut away. To allow air movement and sunlight to reach most leaves, branches in the middle of the crown should be thinned-out. This will aid in pest and disease control, mostly occurring in the centre of the plant. To ease harvesting, balance the crown and overall shape of the tree by topping the tips at the desired height. To prevent breakage, thin out young fruit, especially at the end of branches. the adio-visual presentation was very helpful! I you send me the link I would like to save it on my Youtube playlist. Thanks for watching. The video is on youtube. Thank you for the blog and th video. It was very useful. My lemon tree is four years old. It has never flowreed and I didn’t know I had to prune it. I have moved it three times because of moving home. Is there anyway for me to get it to bear fruit? Hi Joan, this is the answer I received from one of our horticulturists – Lemons only start to bear fruit when they are mature and about 3-4 years old! Transplanting will also set back your tree – he needs to regrow roots in each new location. You can encourage fruit forming by adding Potassium rich fertilizers like wood ash/ banana peels or a 3:1:5 fertiliser! Hi, I have a mature citrus which has become diseased. It fruits all year and this year the crop has been so heavy that in summer it was dropping its fruit whilst still green. I decided to hard prune it this week, which I am two thirds through. I know some plants require some leaf remaining so I have left one-third of the tree unpruned for now till I could check if it would recover from being “skeletonised”. Am I okay to continue? I have taken most remaining fruit off, especially young ruit, to help it recover. Also you recommend banana and wood ash. As I only garden organically I would like to use this. How should I apply the banana skins? Should they be burnt with the wood ash or what? Anything else to help it, such as coffee, etc.? Thanks. Here’s an answer from Liesl, the head of our garden. It would be a good idea to reduce the stress of your lemon by removing some of the fruits, but I would not prune too hard at this time of the year. Remove the dead and very diseased wood, but keep the hard prune for September when the trees are pushing new growth. Give it regular, deep watering. Mulch with compost the area under the tree canopy but not close to the stem to prevent stem rot. You can feed with the chicken manure pellets from Atlantic fertilizers. A monthly feed during the summer with Epson salts also give good results. 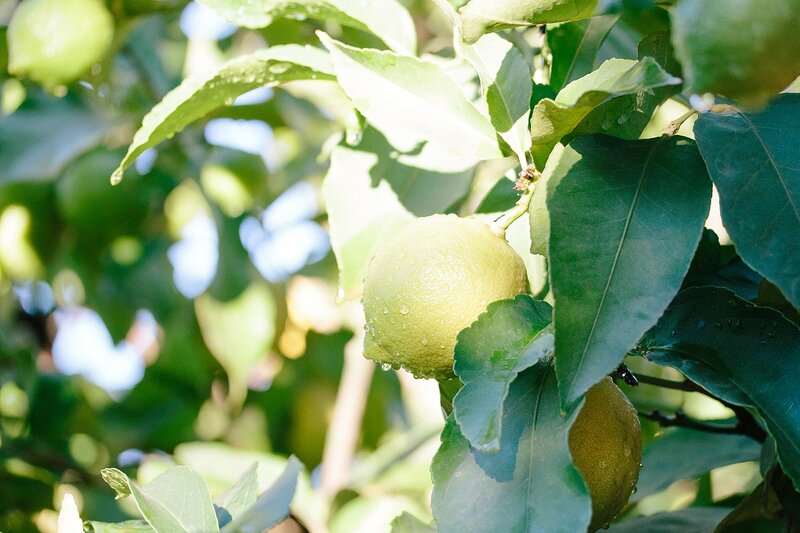 What are the symptoms of the disease of your citrus? Can I grow a lemon or other citrus trees in containers? How big would the container have to be? Which varieties would be best? 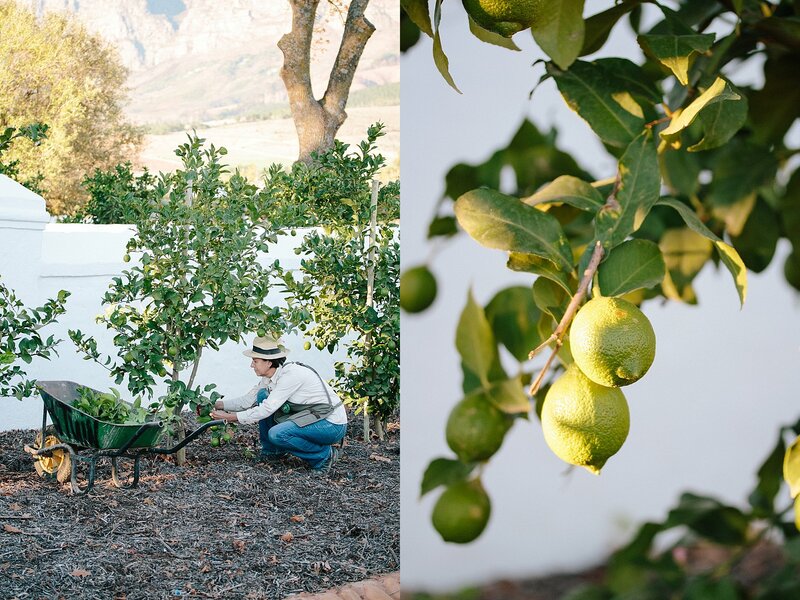 Can you recommend other citrus trees to grow in my garden for good fruit in Somerset West? Thank you. if you want to prune a lemon tree due to the damage of roots and stems then you must contact with the tree pruning companies which help you to eliminate the tree easily without the wastage of time with the help of experienced workers and automatic machinery ,otherwise you face some kind of problems during the elimination of trees due to the inexperienced persons. Hi Ayesha. Lemon trees require buckets full of patience, they can usually take up to 9 months to ripen! If you’ve been patient but still feel like something is not right, ensure your tree has plenty of sunlight and that it’s not too near other plants. Also, yellowing doesn’t necessarily mean that it’s ripe so best would be to do a taste test. Good luck! Thank you for the blog. I love it. We plan to plant a lemon tree in our building’s parking area. Which lemon variety do you prefer Eureka or Lisbon or Meyer. Are their roots a problem close to foundations? Eureka and Lisbon are both great varieties, and the roots are not a problem close to foundations. Happy Gardening!